To achieve restoration of our bodies from constant pain, you need more than just temporary soothing. We need to enable our bodies to actually heal. That’s where the Dr. Ida P. Rolf Ten Series structural integration program helps. Get ready to begin and expedite the healing process. Therapy that addresses the root cause of pain is proven to provide much more profound and lasting results than therapy that focuses solely on relieving symptoms because it is a whole body therapy. 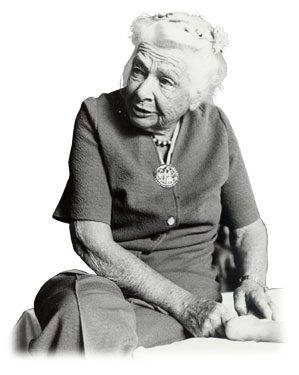 Read the history of Ida Rolf and the Institute of Structural Integration. Many of us carry the burden of physical trauma. Often it’s a pain that prevents us from being who we truly are, or becoming who we dream of being. To achieve this, we need more than just temporary soothing. We need to enable our bodies to actually heal. That’s where structural integration comes into play, to begin and expedite the healing process. Structural integration (SI) is a form of bodywork based on the principle of holism, the idea that each and every part of a person – from the muscles, bones and organs all the way to the cells – contributes to one’s well-being, and the ability to live better in one’s body. Structural integration uses fascial release techniques to stretch, differentiate and open adhered, knotted tissues. These movements release excess tension and restore proper tone and function to the myofascia (muscles and fascia). It is a powerful, restorative treatment that’s proven to help through a series of visits. SI also uses subtle queuing and movement education to help facilitate better body awareness and movement possibilities. This proven approach is “system” oriented rather than “symptom” oriented. What that means is SI seeks to resolve symptoms by addressing the underlying dysfunction in the global structure of the body instead of simply working on the part that hurts. Therapy that addresses the root cause of pain frequently yields much more profound and lasting results than a therapy that focuses solely on relieving symptoms. Come and experience healing in a place dedicated to the restoration of the body to wholeness. Return your body to its natural order, so you can truly live your life to its fullest.